Box Tops are due this week! 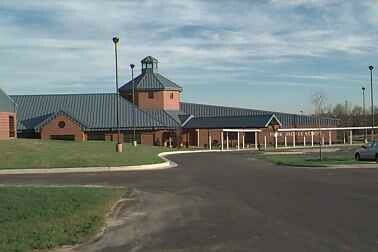 Fork Shoals School is collecting Box Tops! All you need to do is clip Box Tops and put them in the box in your classroom (or send them to the library collection box). Each Box Top is worth ten cents for the school library. The class that collects the most Box Tops will receive a popcorn party. Which class will collect the most? The due date for the Fall collection is Tuesday, October 23rd. If you'd like to learn more about Box Tops for Education, visit http://wwwboxtops4education.com. 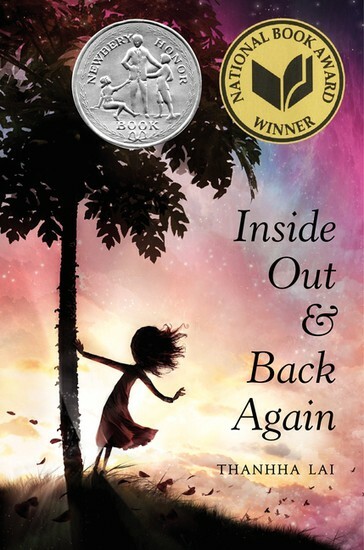 Inside Out & Back Again by Thanhha Lai, a nominee for the 2012-2013 South Carolina Children’s Book Award, a National Book Award winner, and a Newbery Honor Book, tells about a year in the life of a young girl in 1975. The girl, Hà, leaves everything she’s ever known in South Vietnam in the hopes of a better life in America. This book, a novel in verse, was a super-fast read, but it definitely shed some light on what Vietnamese immigrants, particularly children, may have faced when they escaped a war-torn—but familiar—Vietnam for a new home that was often more frightening that what they left behind. This story is even more real because it draws on the author’s own experiences. Along with so many other refugees, Hà and her family board a ship that takes them away from the bombs and bullets that plague their home in Saigon. Food and water are scarce. Privacy is non-existent. There are so many people seeking asylum, and no one knows when they can expect to be rescued. So they cross the sea in hopes that an ally will come along. And one day, it happens. An American ship escorts them to Guam where Hà’s family makes plans to go to America. Eventually, they are sponsored and taken to a place completely foreign to them—Alabama. Hà is confused by her new home. She doesn’t understand why the English language has so many confusing rules. She doesn’t know why her new schoolmates make fun of her. She doesn’t understand why so many people in the town seem to hate her family on sight. She doesn’t like the food that is so different from everything she enjoyed in Vietnam. Hà does know that she is angry, and she longs to find some peace with her new and often frightening circumstances. With the help of her mother, brothers, and a few neighbors and friends, Hà discovers an inner strength that helps her to adapt to the sudden changes in her life and stand up for herself when others want to push her down. Check out these books in the Fork Shoals Library for some fabulous Fall reads! Take some time this Fall to enjoy a great book! 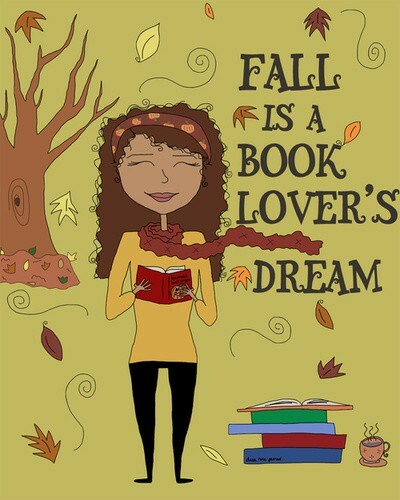 Go outside into the crisp air, and FALL into a good book! Our Fall Frenzy is right around the corner. We look forward to lots of family fun! Please remember to send in a $5.00 donation for the cake walk and soda ring toss OR to send in a 2-liter soda. All help is GREATLY appreciated! We will have a Blood Drive during the Fall Frenzy from 10:00-2:00. Call Mrs. Peden, our school nurse, at 355-5007 to sign up for a time. The class with the highest number of donors will get recognition. Please remember that we will only be pre-ordering yearbooks this year. If you would like a yearbook, remember to order by December 16th. We will not have extras in the spring, so order yours while pre-orders are being taken!